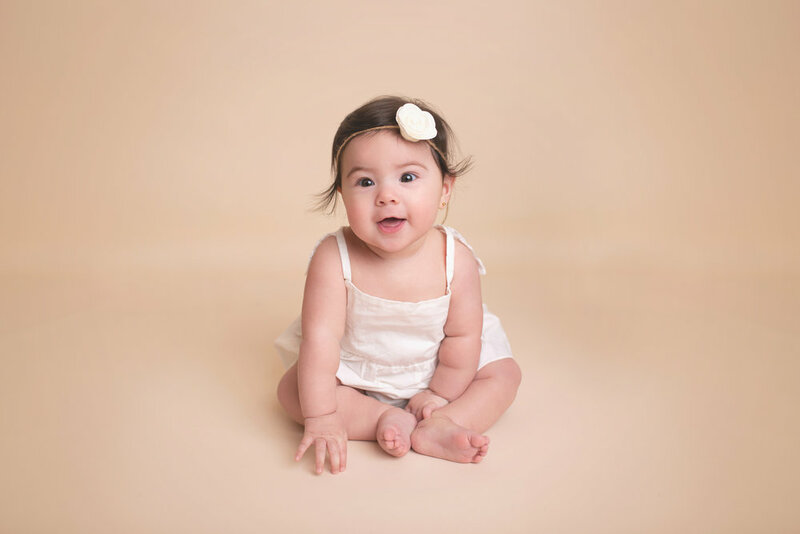 Anchorage Newborn Photographer | "G" 6 Months! I love newborn photography. But I might love 6 month sitter sessions more. I started including a sitter milestone session with all my full newborn session packages, and I'm so glad I did! I love seeing my little friends as they come back in for their sessions. 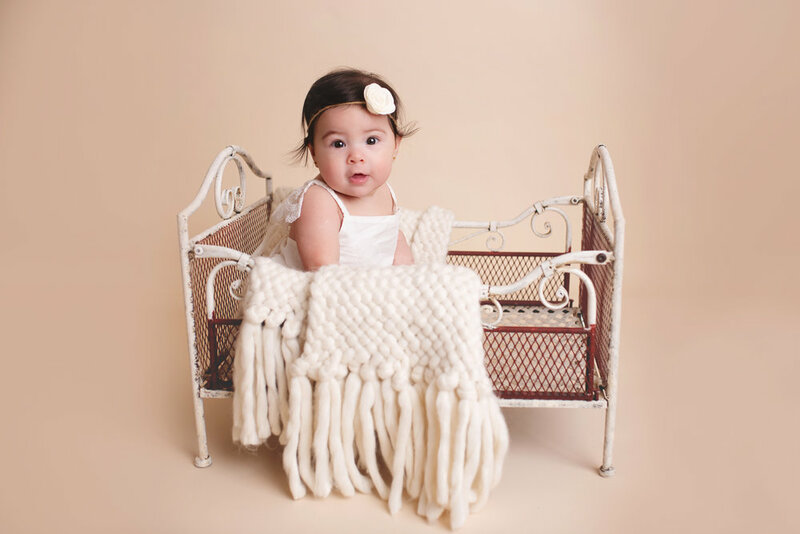 I got to do this sweet girl's newborn session when she was brand new, and she's so gorgeous! She was sleepy for her newborn session, smiley for her sitter session. Love it! Anchorage Newborn Photographer | "C" Wrapped Mini Session!